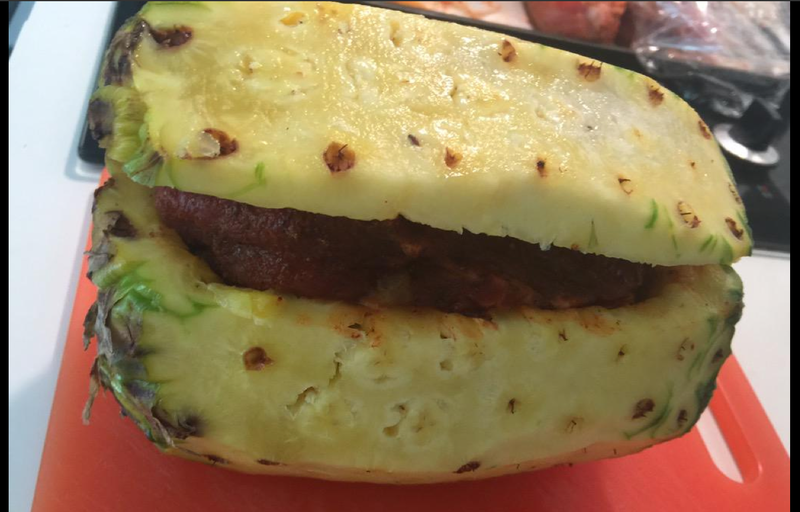 The Swineapple. 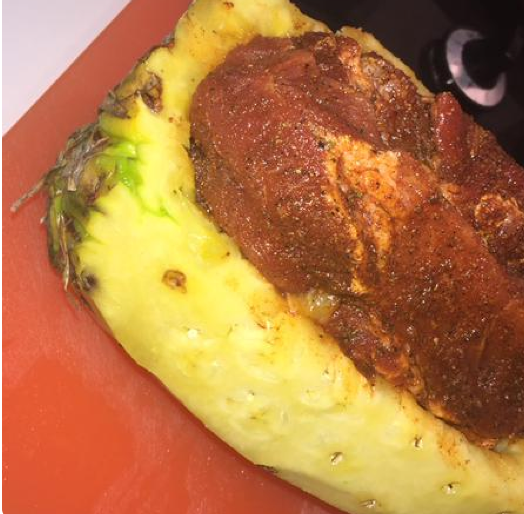 It seems that social media is covered with pictures of boneless pork ribs stuffed inside a pineapple and smoked over indirect heat. Barbeque aficionados grasped the concept; it seems relatively simple. Purchase boneless pork ribs and a large pineapple. 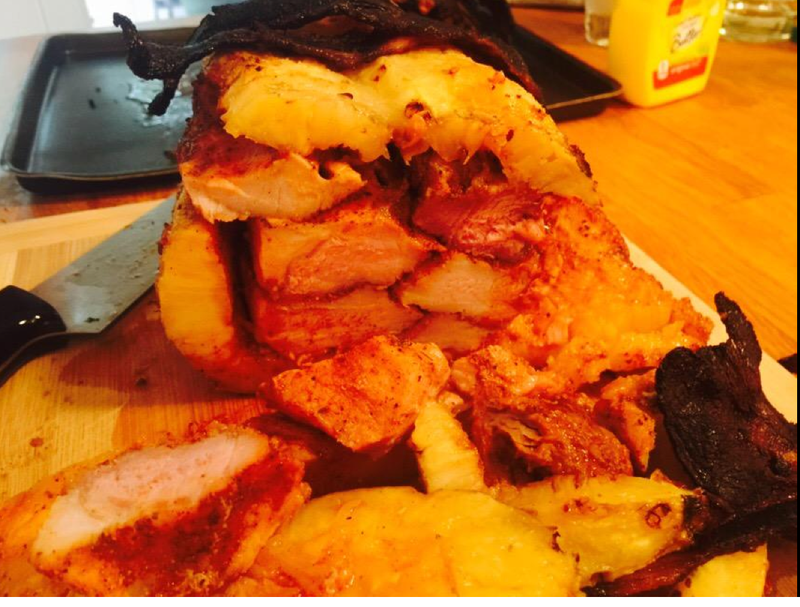 The actual process to meld the pineapple and pork is far more involved than one might think. 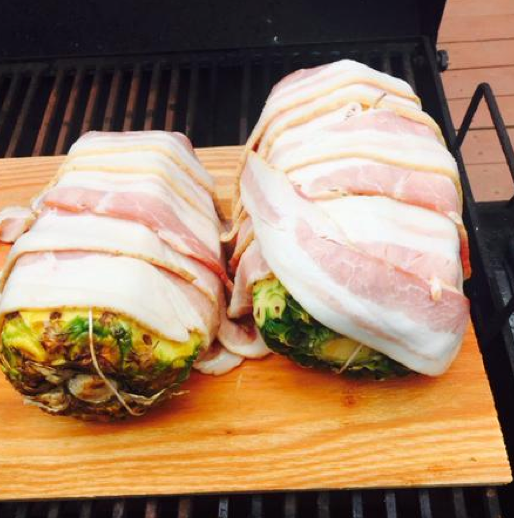 On Memorial Day 2015, my wife and I took on the Swineapple challenge and came out with a satisfying meal. As background, I am an engineer and she is a designer. We took copious notes on the process from beginning to end. Photographs and techniques were posted during the day on Twitter. With a bit of luck, @fillyerhands noticed our efforts and asked for our thoughts. 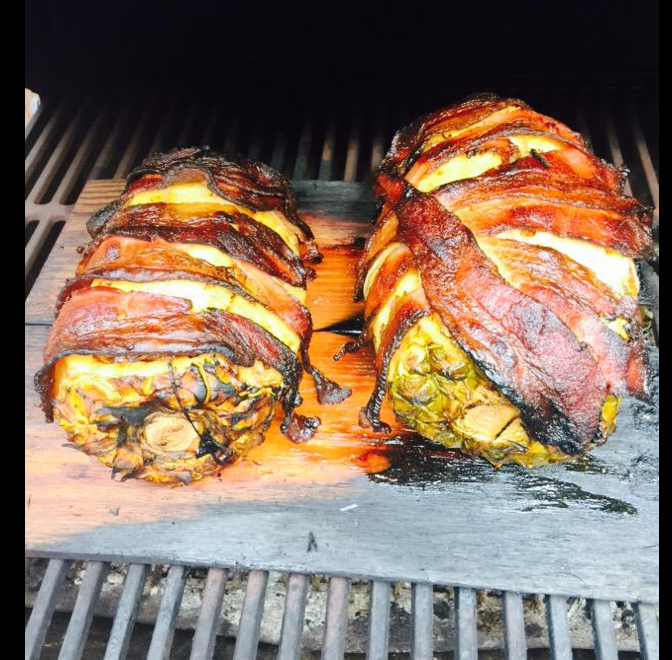 In this article, we’ll cover the preparation of the pineapple, ribs, grill, cedar planks and charcoal. We used standard cedar planks available from Lowe’s Home Improvement. 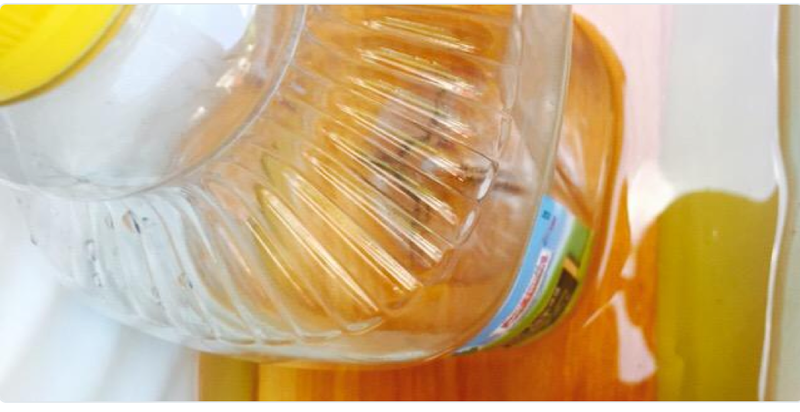 The planks were soaked for several hours in a mixture of apple juice and water. Soaking the cedar planks serves two purposes; the planks should not catch fire during the smoking process and the apple juice soaked cedar planks add flavor and juiciness to the Swineapple. Living in South Carolina, we are bound by state law to barbecue, grill, or smoke every meal, weather permitting, twelve months of the year. While grilling, we save larger chunks of lump wood charcoal for the times when we need a longer stained heat which briquette charcoal cannot provide. Cowboy Charcoal and Royal Oak lump wood charcoal are better for salmon, steaks, chicken, and burgers. The house lump wood charcoal from Publix or Fresh Market provides larger pieces of coal for turkey, ribs or a Swineapple. For this test subject, we used Western Real Wood lump charcoal and Royal Oak lump wood for the firebox. During the last hour, we added chunks of Jack Daniels Whiskey Barrels for flavor. 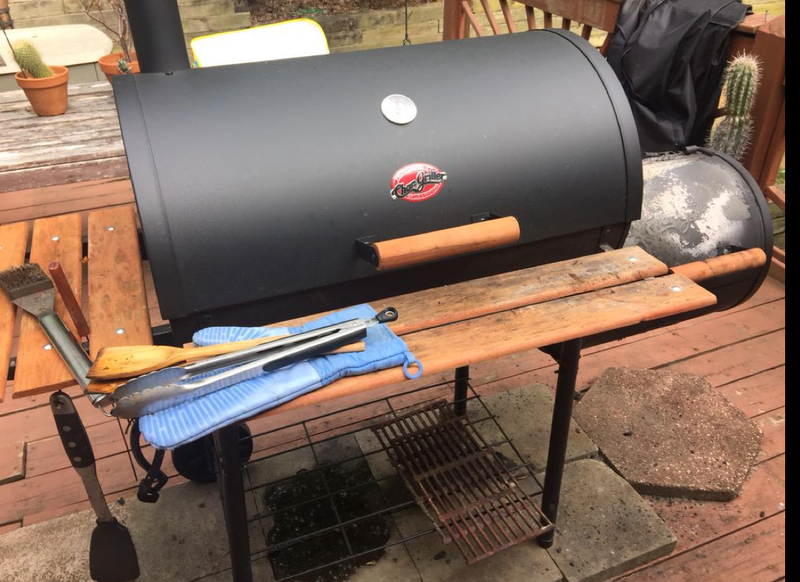 We have a Chargriller with an offset firebox for smoking. The primary ash pan of the grill was emptied of any old debris. The grill grates were scrubbed with a stainless steel brush. The secondary firebox was emptied of old ashes and the pan was lined with aluminum foil. The top vent and side vent were both opened to allow maximum air flow over and around the meat while it is cooking. Now we’re getting to the core of the project (no pun intended). The pineapple selected should be the largest one available in your market. Take a sharp knife and remove the outer layer. Remove the stem. Leave the top and bottom covered by the scaly exterior. Placing the pineapple on its side, slice the pineapple parallel with the core. I cut our first one with a 90/10 ratio. The second one was 85/15 ratio. Don’t throw away the lid. You’ll need it shortly. Using a serrated knife, gently cut the core from inside,removing the top and bottom. The pineapple flesh between the edges will be relatively simple to remove. 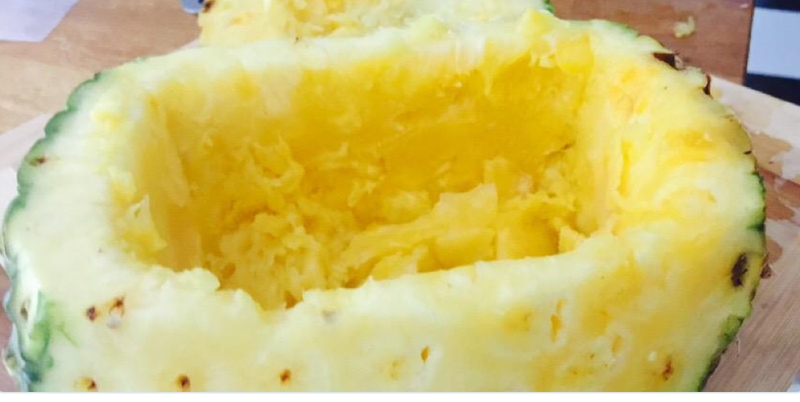 The flesh along the core, as well as the between the core and the bottom of the pineapple, is a bit more difficult to remove. Remember that to maximize the available space for the pork ribs; cut as aggressively as possible while retaining the structural integrity of the pineapple. The eight spices were blended together and then liberally applied to the ribs. I was able to fit between 32-40 oz of ribs into each pineapple. 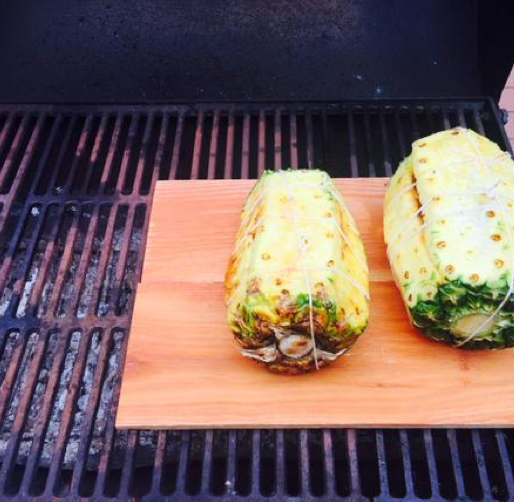 The side of the pineapple was placed over the boneless ribs and secured with kitchen twine. I recommend soaking the twine in water before smoking so that it does not catch fire during the process. We covered the outside of each pineapple with thick sliced honey bourbon bacon. The planks were placed perpendicular to the grill grates next to the firebox vent. The Swineapple was placed parallel to the fire, to allow for the most even exposure to the heat possible. We closed the lid at 3pm and checked the firebox every 45 minutes, adding chunks as needed. The temperature remained between 225-250 degrees. Two hours in the process, we used wooden spatulas with a large surface space to rotate the Swineapple, The pineapple was soft and fragile; metal tongs were a mistake. A meat thermometer was used four hours into the process; once the meat reached 160 degrees, we removed them from the heat. 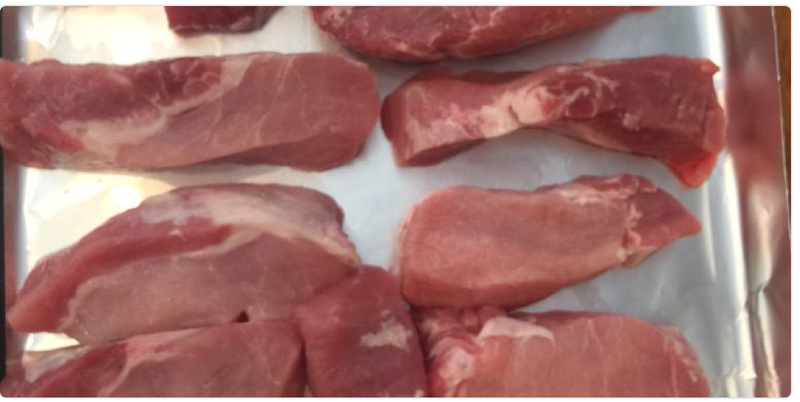 Following standard grilling procedure, the meat was placed on a wooden cutting board and covered with aluminum foil, allowing the pork to rest. This was our first attempt at Swineapple and we will do it again. That said, the procedure takes almost as long as smoking a turkey or racks of ribs. We found that the citrus enzymes marinated the pork nicely. Coring the pineapple and then removing the outer layer of pineapple might allow for more flavor infusion instead of a horizontal cut and scooped out the pineapple. Another thought is to cut the pineapple down the middle and place the boneless pork ribs in either half, then tying the halves together before placing them on the grill. Lastly, we would add the bacon much later in the smoking cycle. I used too many Jack Daniels chunks in the firebox at once; the fire spread rapidly to the cedar planks, hence the blackened planks in the photographs. We did not add barbecue sauce to the Swineapple. We used traditional offset heat, smoke, and a rib rub for flavor.